Advances in cell-culture technologies are paving the way to the complete elimination of animals from the laboratory. The US National Academy of Sciences released a report in 2007 envisioning a future in which animals would largely disappear from toxicity testing programs. The report, drafted by a panel of experts, proposed that toxicity induced by drugs, food additives, pesticides, and other chemicals be assessed not by observing overt clinical signs in animals but by monitoring perturbations to biological pathways in cultured human cells. Sophisticated bioinformatic technologies could then provide risk predictions that overcome the limitations of animal-based methods, such as low throughput and the questionable relevance of animal results to human physiology. Initially, the report was greeted with skepticism, but that skepticism is giving way to guarded excitement. In response to the NAS report, the Environmental Protection Agency, the National Institutes of Health, the National Toxicology Program, and the US Food and Drug Administration are cooperating to develop new technologies to modernize chemical testing. Former NIH director Elias Zerhouni characterized this effort as the beginning of the end of animal testing. We at The Humane Society of the United States and Humane Society International helped establish a consortium in 2009 to promote the need for a coordinated international program of research and development (akin to the Human Genome Project) to implement the NAS vision. We believe that within the next decade or so, we will reach a point where safety testing and risk evaluation of chemicals will be conducted in a fraction of the time, at a fraction of the cost, and with greater predictive relevance for human and environmental safety compared to current, cumbersome animal-based approaches. The initiative has already attracted the attention of many industry partners, including Dow, DuPont, ExxonMobil, Johnson & Johnson, L’Oreal, Procter & Gamble, and Unilever. Since the mid-seventies, the use of animals has fallen by around 50 percent....By 2050, we might finally see the last of animal use in the laboratory. 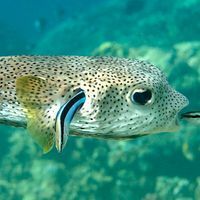 The advantages of nonanimal testing methods were illustrated in connection with the recent Gulf of Mexico oil spill. Shortly after the Deepwater Horizon rig began spewing billions of gallons of oil into the Gulf, US political leaders asked the EPA to determine the relative safety of eight different commercially available oil dispersants. Within 6 weeks, the agency tested the eight substances in a number of high-throughput assays that probed a variety of biological pathways, including endocrine disruption and cytotoxicity, and produced a report identifying the toxicity profiles of the dispersants (fortunately, the dispersant being most widely used at the time compared favorably to the others). 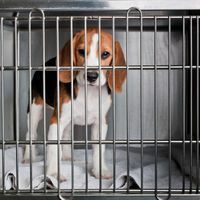 If these studies had been conducted in animals, the testing and reporting would have taken years, and would likely have produced results no more conclusive than those obtained from the cell systems in a matter of weeks. Indeed, the movement away from animal experimentation is already underway. Since the mid-seventies, the use of animals in experimentation has fallen by around 50 percent. The number of animals held in laboratories of universities and research institutes declined dramatically until around the mid-1990s and then began to climb again as facilities began producing and maintaining genetically modified mouse strains. 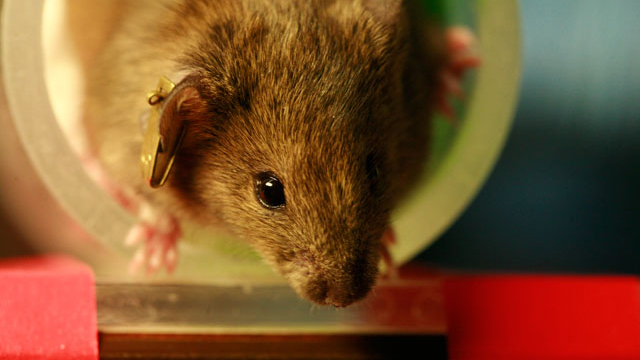 However, data from Great Britain indicate that the actual use of mice (by far the most-used laboratory species) for research projects has plateaued in the last decade despite a large increase in the size of breeding colonies. 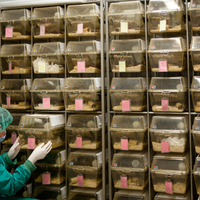 This overall decline in animal use can be attributed to the advent of novel technologies such as improved cell-culture systems and microanalytic techniques; more sophisticated model systems; improved understanding of signaling and metabolic pathways; and a host of other new methods that allow scientists to answer important questions about the functioning of healthy and diseased tissues without subjecting whole animals to harmful procedures. With a 50 percent decline in animal research since 1975, we are roughly at the halfway point towards the complete elimination of animal research. Thus, we argue that, by 2050, we might finally see the last of animal use in the laboratory, particularly if all stakeholders put their minds to it. Andrew Rowan is President & Chief Executive Officer of Humane Society International (HSI) and Chief Scientific Officer of The Humane Society of the United States (HSUS). Rowan, a Rhodes Scholar, has a doctorate in biochemistry.